The second instalment of the review of Oliphint's new book on Aquinas.The entire review is published in the Journal of IRBS Theological Seminary (2018): 163-93. It may be purchased at www.rbap.net. The last instalment next month, dv. In his Introduction (Chapter 1) the author outlines his ahistorical approach to Thomas (2-3) and sketches his life and achievements. The titles of the two central chapters, ‘Foundation of Knowledge’ and ‘Foundation of Existence,’ give the game away. Oliphint pursues the Enlightenment and post-Enlightenment foundationalist theme first by extracting the Five Ways from Thomas’s context in the ST and other writings, and then by treating them as free-standing ‘cosmological arguments.’ They are seen as functioning as the foundation of both Thomas’s metaphysics and of his epistemology, and hence of his Christian theology. Oliphint does not attempt to explain to his readers any of the context of the proofs of the existence of God in the ST that we have been reminding ourselves of. Rather he treats the Five Ways as if they were Aquinas’s sole foundation of theology, and so as providing the sole foundation of the rationality of God’s revelation in Jesus Christ. Rather inconsistently, however, he does take advantage of Aquinas’s appeal to the Scriptures in his treatment of natural theology, the biblical warrant of such rational theology (which he takes to be disclosed particularly in John 1, Romans 1, Acts 17 and so on) and his exegetical errors in understanding these passages. He does not stop to ask by what authority these passages have the distinctive role they possess. Why does it matter to Aquinas, a philosopher as Oliphint treats him, what Paul or John or Luke thought? By the way, he does not reckon much to Thomas’s expository skills: ‘He was no exegete’ (121). The reader gets here a glimpse of Oliphint’s view that in proving God’s existence Aquinas’s thinking ought to have been more biblical, not merely philosophical, or perhaps not even philosophical at all, but revelational. But Aquinas is in fact just that: ‘more biblical’ in that he pays attention to what Luke reported (Acts 17), and Paul (Romans 1), and John (John 1). Oliphint is strangely blind to the significance of the fact that before Aquinas’s Five Ways are set forth, God is discussed from authoritative Scripture. The fact that Oliphint follows philosophers since Thomas who have treated the Five Ways in abstraction from what Thomas has to say about Christian theology is a puzzle. Why does he do this? My answer is that Oliphint sees the Five Ways through the eyes of the business of apologetics as it has developed in the Enlightenment and beyond. Yet I think it is fair to say that nowhere in his treatment of the proofs of the existence of God does Aquinas hint at such apologetics. Oliphint’s ahistorical approach extends to apologetics, which also has a history. Thomas is undoubtedly interested in the fact that the doctrine of God as revealed can also be demonstrated (scientia). In this he moves from revealed theology to natural theology, except that, there being only one God, the concept of God argued for in the proofs is in fact the God of revealed theology. So as we have already seen, the two are exercises of scientia, of revealed theology as based on Scripture, and of natural theology based on ‘natural reason.’ These two projects are complementary, side by side, not linear, the one being the exclusive foundation of the other. In his natural theology, Aquinas is engaged in promoting theology, this time, the doctrine of God, not systematic Christian theology as a whole, as capable of being established in demonstrative ways. This would point to the Five Ways being a philosophical, demonstrative business, from the effects of God’s activity discernible by reason and the senses, to the conclusion that God must exist (based on Rom. 1:20). But the conclusion, the concept of God that is instantiated, is identical with the God and Father of our Lord Jesus Christ. This is what may have confused the debate that occurs of whether the Five Ways is a piece of theology or of philosophy. Aquinas more than once says that the Five Ways are exercises in nature and its relation to grace. That is to say, grace builds on nature, it does not supplant it. Christianity is not gnostic. This is rather different from Oliphint’s attitude to nature, as in ‘natural reason.’ Natural human gifts and powers are not primarily seen by him as a gift of God to be relied on, but as an expression of mankind’s godless rebellion. Its supposed neutrality (unexplained) is a mask. At this point Oliphint seems prisoner of a fairly recent development in Reformed thought, where nature is uniformly regarded as in tension with grace. There is talk of a duality or dualism, a nature/grace dichotomy, and so on. These expressions are the call sign of one of Abraham Kuyper’s tendencies, sharpened by Herman Dooyeweerd, and exported to North America in several locations—Westminster Theological Seminary in Philadelphia being one of them. But judged by the historic Reformed attitude to nature, it is an innovation. This is how Oliphint comes to accept the preposterous assertion that reliance on nature as a theological source is ‘Arminian’ (e.g., 121). To earlier Reformed theology, nature and grace were not antagonistic toward one another. It is surprising that Oliphint does not even note the place of Aquinas as a prime source of later medieval scholasticism’s impact in the development of Reformed Orthodoxy. Sadly, he has nothing to say about any of this. Nonetheless, students of their theology will be aware of the fact that Reformed theologians in the sixteenth and seventeenth centuries had positive things to say about natural theology which mirror to an extent what we have seen in Thomas’s ST. So it is that in the first chapter of his Institutes of Elenctic Theology the Genevan theologian Francis Turretin (1623-87) raises the issue of natural theology. He frames his discussion in terms rather like Thomas. The Third Question of the First Topic is entitled ‘Whether natural theology may be granted.’ This is equivalent to asking, ‘Is natural theology permissible?’ Here Turretin is in controversy with the Socinians, who denied it. He affirms it. The orthodox, on the contrary, uniformly teach that there is a natural theology, partly innate (derived from the book of conscience by means of common notions [koinas ennoias]) and partly acquired (drawn from the book of creatures discursively). He cites the time-honored texts, Romans 1:19-20, 2:14, Acts 14, and 17, and so on. He [Paul] wants to demonstrate that neither the Gentiles by nature (chap. 1) nor the Jews by the law (ch. 2) could be justified (because all are sinners), but only by the gospel revealed by Christ. [F]rom this light the rays are diffused over all mankind as I have already said. For we know that all men have this peculiar excellence which raises them above other animals, that they are endued with reason and intelligence and that they carry the distinction between right and wrong engraved on their conscience. There is no man, therefore whom some perception of the eternal light does not reach. The Reformed came to adopt a way of theological education that mirrored that of the Roman Catholic scholastics. After all, many of them had encountered the Reformation having first been trained as Roman Catholic educators. Here is one explanation of how Oliphint comes to be seriously awry in the way he treats the Five Ways as an apologetic. At one point he mentions how, since their introduction, the Five Ways have taken on a life of their own (55). This is certainly true. I believe he himself understands them in this fashion, as exercises without any place in the overall thought of Thomas himself or of the church, but as a species of ‘evidential apologetics.’ These are the products of natural reason, of philosophy (12). Once the Five Ways were circulated there was nothing to stop people changing the original purpose of these proofs, to demonstrate this fundamental article of the faith, that God exists, by reason, and migrating them to apologetics. This is what happened first in the era of the Enlightenment, and then in the last century and in the current one. The scriptural and Christian context of the Five Ways was excised; they were extracted from this context and became timeless exhibits in the glass case of ‘Reason and Religion’ and ‘Proofs of God’s existence,’ as Oliphint points out. He mentions their uses by modern evangelicals such as Norman Geisler, R. C. Sproul, John Gerstner, and others (55-56). Oliphint’s understanding is not intended to praise Thomas, but the reverse. Having been re-located in this way, more significant is his assessment of the Five Ways and their place in apologetics. Oliphint’s own interest in them is largely due to them together forming a distinct apologetic strategy, one that he is resolutely opposed to, and not as part of understanding Aquinas’s rather complex thought, even though Aquinas and not apologetics is the topic of his book (56). 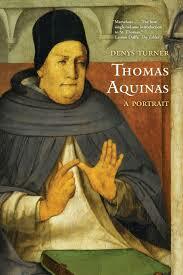 But Aquinas ought not to be tarred with this Enlightenment brush. It is a failure of Oliphint’s ahistorical approach. Oliphint’s understanding of apologetics is also ahistorical. Oliphint concurs in this extracting of the Five Ways from their original context in Thomas, not recognizing their place as demonstrations, at a tangent from the development in dogmatics, of the articles of the Christian faith, as we saw earlier. He does this to make his critique of Thomas more pointed. He exaggerates the importance of the Five Ways, as in “Thomas thinks that natural reason forms the foundational structure of which revelation is the superstructure, in part because of his understanding of certain biblical passages” (13). There is no evidence for this in the ST. Such foundationalism is too simplistic a model for Thomas’s understanding of the connections between faith and reason. Revelation affords truths about God not available via natural reason alone. We have seen that, for Aquinas, revelation functions as the source of the articles of the faith, knowable by certitude, by reliance upon authority. And how could Thomas discuss and justify natural theology foundationally at the same time while relying on the articles of the faith? Oliphint’s sharp critique of Thomas in Chapters 2 and 3 of his book pivots on his own neo-Calvinist apologetics, even though Aquinas (not apologetics) is the ostensible topic of his book (55-56). Once the Five Ways were relocated they fared differently according to the different ways in which they are used. It is a fact that they pre-date the skepticism of David Hume, as also the philosophy of Immanuel Kant (124). But considered as contributions to Christian natural theology, either Roman Catholic or Reformed, they are more timeless, having an abiding place in these theological outlooks. We must never forget that. Once Oliphint has divested the Five Ways of their medieval apparatus and complexity, though seemingly being largely unaware of this treatment of them, then (as far as I can see) there remains little or nothing of Oliphint’s treatment of Aquinas that would not be applicable to a treatment of the context-less cosmological arguments of a modern collection of such arguments, or of their textbook discussion. It is fair enough to comment on a Great Thinker with one’s own interests in mind, but one cannot necessarily form an estimate of such a thinker’s greatness from doing so. I shall try to make some comments on the author’s treatment of topics in Chapters 2 and 3, even though they are often beside the point as far as an understanding of Aquinas is concerned. Francis Turretin, Institutes of Elenctic Theology, trans. George Musgrave Giger, ed. James T. Dennison, Jr. (Phillipsburg, NJ: P&R Publishing, 1992), 1.3.4 (1:6). 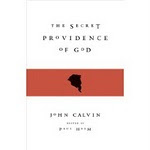 John Calvin, Commentary on the Gospel of John (CTS, repr. Baker Book House, 1979), 38. It is testimony to the strength of this contextless emphasis that the contemporary scholar of Aquinas, Brian Davies, can edit a contemporary guide and anthology, The Philosophy of Religion, (Oxford: O.U.P, 2000), in which he devotes a section to cosmological arguments, one of which is a Way of Thomas, without supplying any original context. This is the opening sections of a longish review article on Scott Oliphint's new book on Aquinas. The entire review is published in the Journal of IRBS Theological Seminary (2018): 163-93. It may be purchased at www.rbap.net." Here is an account of the thought of Thomas Aquinas (1225-74), one of a new series on Great Thinkers published by P&R Publishing. 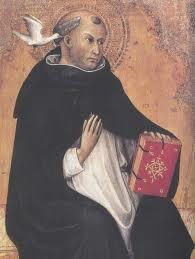 Aquinas wrote extensively on theology and philosophy, as well as being a biblical commentator. He was a major influence on the rise of scholasticism, which both affected Roman Catholic thought from the fourteenth century onward and which was in turn influential on Reformed Protestantism, particularly in the sixteenth and seventeenth centuries. So, it is appropriate in more ways than one that we should pay attention to him and his legacy. K. Scott Oliphint, Professor of Apologetics and Systematic Theology, Westminster Theological Seminary, Philadelphia, has a tall order, which he has approached rather idiosyncratically. Faced with the massive body of Aquinas’s writing, Oliphint has chosen to select material almost exclusively from Part I of the Summa Theologiae (ST), Question 1 on the nature of theology, proofs for the existence of God (Question 2), and on the nature of God, chiefly his simplicity (Question 3). He sees Thomas exclusively through the lens of foundational apologetics, that is, as someone who uses rational proofs of God’s existence as the foundation of Christian theology. However, someone approaching this great work at the beginning (from Question 1), will note that Aquinas does not begin his theological discussion to follow on with apologetics. Rather, he prepares a Christian readership with a basic discussion of articles, or questions, about theology itself, such as: Is theology necessary besides philosophy? Is theology a science? Is it a theoretical or practical endeavor? How does it compare with other sciences? Does it set out to prove anything? What is its attitude to the “sacred writings”? Is God the subject of this science? Is this teaching probative? Should holy teaching employ metaphorical or symbolical language? Can one passage of Holy Scripture bear several senses? Discussion of these questions ends the articles of Question 1. At least some of these questions, I dare say, are unfamiliar these days. Question 2, entitled ‘The Existence of God,’ has several articles that arise from the discussion of Question 1. This leads to the following: ‘Whether the existence of God is self-evident?’, ‘Whether it can be demonstrated that God exists?’, and ‘Whether God exists?’ The answer to this final question contains his famous ‘Five Ways’ of proving God’s existence, followed (in Question 3) by a discussion on the simplicity of God. This entails the following questions: Is God a body? Is he, that is to say, composed of extended parts? Is he composed of form and matter? Is God to be identified with his own essence or nature, with that which makes him what he is? Can one distinguish in God essence and existence? Can one distinguish in God genus and difference? Is he composed of substance and accidents? Is there any way in which he is composite, or is he altogether simple? Does he enter into composition with other things? These are strange questions to our minds. Aquinas’s discussion of divine simplicity is particularly significant in that it is a notion that is entailed both by his opening remarks on the articles of Christian theology and his proofs of God’s existence. Prior to the occurrence of the Five Ways in Question 3 of Part One, Thomas tells us in more than one place that God cannot be known as he is in himself, but by what he brings about, his effects. He points out in 1a 1.7 that we cannot know what God is but by some effect or effects of nature or grace. For God cannot be defined. He reiterates the point in 1a 2.1, and it is expanded further in 1a 2.3. Shortly after this point he comes to the Five Ways which are five arguments from effects to their divine cause. Oliphint ignores almost everything else that Aquinas wrote, both in the ST or elsewhere, and what he reflects on he does not do a very good job. Regarding some of these apologetic questions, there is great pressure to think that the proofs of God’s existence that Thomas sets forth in ST, 1a 1.2.3 referred to as the Five Ways, are foundational to the existence of the articles of faith, the doctrines of the Christian faith, such that everyone committed to the articles has first to be committed to the proofs. But this is a mistake, as we shall see. This pressure does not come from Aquinas himself, but from the way in which his proofs of the existence of God have become separated from the body of his theology, as rational ‘proofs’ in the Enlightenment and post-Enlightenment sense. Aquinas rarely refers to ‘foundations’ in the modern sense, though they figure prominently in Oliphint’s account of him. Oliphint underscores this, incidentally, by pointing out that several different versions of the proofs are extant in Thomas’s writings (56-57). This suggests a philosopher working on arguments that he is not altogether satisfied with, rather than with someone aiming at canonical finality. The reference to Exodus 3:14 in the proofs (1a 2.3) does not detract from their philosophical character in the ST; rather, it shows them to be a philosophical project whose aim is to demonstrate that a conclusion, namely, that God exists, is not only reasonable, but is also consistent with the God of revelation. It is a great pity that the author has not given to his readers some idea of the sweep of Thomas’s philosophical and theological ideas. He has also decided to pay very little attention to the different ways in which he has been influential in the history of theology subsequently, both in Roman Catholicism and in Protestantism. In this review we shall be following him in his largely unsatisfactory discussion of material in the first articles of Book I of the ST, which he treats in an avowedly ahistorical way (2-3). This extends to the idea of apologetics itself, which Aquinas hardly mentions. In starting his treatment of Aquinas in his book with Part One, Question 2 of the ST, and ending it at Question 3, I believe that the significance of Question 1 is missed. After a brief Introduction to Aquinas’s life and work, his book has two main chapters (‘Foundation of Knowledge’ and ‘Foundation of Existence’) derived from Oliphint’s estimate of the proofs, rounded off by a Conclusion. By this time the reader is aware that the author’s interest in his material is almost wholly conditioned by his interest in apologetics as it is taught in a modern evangelical seminary, and in particular the apologetics of the late Cornelius Van Til, not with understanding Aquinas historically, on his own terms. If we pay attention to what Thomas asserts and implies in Question 1, then it becomes obvious that Oliphint’s treatment is thoroughly askew of what Aquinas is endeavouring. Once he starts reading the ST, the reader will notice at once the place of Scripture as a prime theological authority in Question 1: 2 Timothy 3:16, Isaiah 64:4, 2 Thessalonians 3:2, James 2:3, Proverbs 9:3, Isaiah 11:2, Deuteronomy 4:6, 1 Corinthians 3:10, Proverbs 10:23, Romans 1:19, 1 Corinthians 10:4-5, 1 Corinthians 2:15, John 20:31, Titus 1:9, 1 Corinthians 15:12, Hosea 11:10, Romans 1:14, Matthew 7:6, Hebrews 7:19, and Matthew 19:8 are carefully cited. We shall consider the significance of the authoritativeness of such citations later, but from the start the Summa is to be regarded as a Christian production. In the course of the treatment of this Question a number of significant contrasts are also introduced. For example, ‘Hence the necessity for our welfare that divine truths surpassing reason should be signified to us through divine revelation.’ ‘[T]he rational truth about God would be reached only by few, and even so after a long time, and with many mistakes.’ ‘[T]here is nothing to stop the same things from being treated by the philosophical sciences when they can be looked at in the light of natural reason and by another science when they are looked at in the light of divine revelation. Consequently, the theology of holy teaching differs in kind from that theology which is ranked as a part of philosophy’ (ST, 1a 1). Here Thomas compares philosophy to theology to the disadvantage of the first. These expressions bear on the relation of the nature of the proofs to the articles of theology. So, it is Thomas’s view that revealed theology is in many ways superior to rational theology. What he refers to as ‘theological articles’ presuppose the existence of God. But the existence of God is not one of the articles of faith. Rather, it is presupposed by every one of the articles. Because of the greater certitude and worthiness of its subject-matter, theology is the noblest of the sciences. 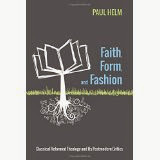 The topic of natural theology can achieve demonstration about God without faith, and may involve mistakes. So, there is a rather complex relation between the two. Besides this emphasis on Scripture, and hence on the Christian character of the entire work, Aquinas informs his readers early on that there are within the project two kinds of what he calls scientia, an orderly body of knowledge. These are two because there is scientia from ‘the innate light of intelligence’ and then there is the scientia ‘recognized in the light of a higher science.’ I suppose Christian apologists must recognize that ‘personal foundations’ differ often in marked ways from person to person in those who are engrafted into Christ (e.g., the Philippian jailer differed from Lydia the seller of purple, Zaccheus from Nicodemus, Peter from Paul). So, the demonstration of God’s existence is a science, as is Christian theology, founded as it is on the Scriptures and on the teaching and preaching of the church. Holy teaching, Scripture, special revelation, is directly from God. It can be clarified to our limited understanding by the help of other sciences such as logic, languages, history. But it is above reason, conveying the divine mysteries. Perhaps these words tell us about Thomas’s views on apologetics. If so they are very different from those of Oliphint. These words will be a surprise to those who hold to his views. The entire article ought to be weighed. So, there is a scientia of Christian theology derived from Scripture. Then, in Question 2, there is the question ‘Whether the existence of God is self-evident?’ Thomas’s answer is that God is evident, but not to us, and so that evidence has to be made to be self-evident to us by arguing from God’s effects as grounding God’s existence. This is a philosophical scientia: “From effects evident to us, therefore, we can demonstrate what in itself is not evident to us, namely that God exists.” And, as already mentioned, in that question Aquinas attempts to show this in detail, in five parallel arguments from effects, the Five Ways, that God exists. This is his natural or rational theology, for which he finds precedent in Paul’s positive remarks in Romans 1:20. So even his natural or rational theology is warranted by Scripture. The fact that rational or natural theology begins with the existence of God while the articles of faith presuppose it, may make it seem as if natural theology complements or completes revealed theology, and that it serves to put the articles of faith on a firmer footing. But to draw this conclusion is a temptation that must be resisted. It finds no warrant in what Aquinas said of each of them. The proofs and the development of articles of theology are two distinct, complementary activities. Nevertheless, they are in some way related, or connected, as we shall shortly see. Consider these two extracts from another writing of Thomas. A thing is . . . an object of belief not absolutely, but in some respect, when it does not exceed the capacity of all men, but only of some men. In this class are those things which we can know about God by means of a demonstration, as that God exists or is one and so no body and so forth. The articles of the faith are for everyone, not for those only with the necessary aptitude and intelligence to study demonstrative proofs for God’s existence at their leisure, etc. Special gifts are necessary to formulate and follow philosophical arguments such as the Five Ways. So Christian Theology is available to all persons, learned and unlearned alike, but in different, though overlapping ways. That God exists is a precondition for faith, the Christian faith. It may seem from this that the results of one kind of knowledge form the foundation for another kind. Yet we are not to assume that every time Aquinas refers to the existence of God he has the proofs in mind, much less that reasonable proof is a precondition of faith or that such a proof leads to faith. In fact, the precise opposite of this is the case. If someone is not able to reason philosophically, they are nevertheless able to assent to the matters of the Christian articles by faith through grace. There is need here to distinguish between Aquinas’s references to preambles, the praeambulae fidei and similar expressions, and his references to articles of faith and other similar expressions. It may seem that the words referring to preambles refer to preliminaries that are necessary to exercise faith, such that ‘God is one’ is not by itself an article of faith but what is preliminary to something being an article of faith. It is a presupposition of an article of faith that is, he thinks, demonstrable by reason by those who are appropriately gifted. Aquinas recognises that proving that God exists requires ability, leisure, and aptitude to carry out such a demonstration. Other such demonstrable truths that depend on the proof of the existence of God are that God is truthful, and that God reveals himself. So we learn, for example, that since adherence to the Christian faith is a matter of faith in the main articles of the Christian faith, it entails an end beyond the grasp of reason [quoting Isa. 64:4]. This faith is meritorious, and has the quality of certitude. Certitude is the unreserved assent of the intellect. It may occur where demonstration has not been achieved. This is a matter that involves the will as well as the intellect, being not objectively but subjectively certain, and so of primary importance. ‘[D]ivine truths surpassing reason should be signified to us through divine revelation’ (ST, 1a 1.1). By contrast, the ‘rational proofs’ are attainable only by a few, who have the necessary gifts. But the place of reason in Christian theology operates within what is revealed. Aquinas goes on to make clear that arguments for the articles of faith are held through revelation. In considering Aquinas’s thought we are dealing with the pre-Reformation church. As far I can see he does not regard working on the proofs as similarly meritorious. These various extracts and references underline the fact that the ST is a Christian work from the start and it assumes a Christian readership. It is taken as granted that this readership is familiar with and sympathetic to the theological articles. Such theology is drawn from the canonical Scriptures. From them have been derived articles of faith that may be accepted with certitude by which a person may have faith in the articles of the faith. The entire section of Article 8 is enlightening for Aquinas’s approach to nature, and by implication, to rational theology. It is almost as if the conduct of natural theology and of Christian theology take place in two distinct groups at arm’s length from each other. And in a way this is true. For the curriculum of teaching philosophy and theology was such that natural theology (following Aristotle) is part of philosophy, preliminary to the study of the articles of Christian theology that is based on the canonical Scriptures. These matters reflect the character of the education for would-be theologians who had philosophical education before the study of revealed theology. Natural theology was conducted under philosophical auspices. Revealed theology had its source in special revelation. As if to underline this, Aquinas draws attention to the relation of each, and to the relative value of each to the other in later on passages such as: ‘By faith we hold to many truths about God that philosophers could not fathom, for example the truths about his providence, omnipotence and sole right to adoration. All such points are included in the one article of faith “I believe in one God”’ (ST 2a 2ae 1.8). The following on the theological virtue of faith is very similar. Aquinas’s opening words in the ST that we have been considering are very different from what they would have been had he believed that accepting the proofs are indispensable preliminaries to attending to Scripture. K. Scott Oliphint, Thomas Aquinas, Great Thinkers, foreword by Michael A. G. Haykin (Phillipsburg, NJ: P&R Publishing, 2017, 145pp.). References to the Summa Theologiae are by Part, Book, and Question, placed in the main text of this review. The translation used is that of the Dominicans, general editor, Thomas Gilby (London: Eyre and Spottiswoode, 1963-70). It is also available in Kindle, and parts of it were reprinted in Image Books (1969), including the passages we shall cite. Thomas Aquinas, The Disputed Questions on Truth, Vol. 2, trans James V. McGlynn S.J. (Chicago: Henry Regnery, 1953) 14.9. I have taken this and some other extracts of Aquinas from Arvin Vos, Aquinas, Calvin, and Contemporary Protestant Thought (Grand Rapids: Wm. B. Eerdmans Publishing Co., 1985), 88. The presence here of the idea of personal merit, which came to be central to the opposition of the Reformation, reminds us of Thomas’s Roman Catholicism.